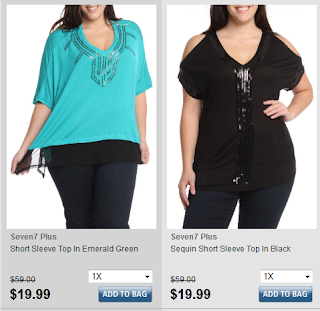 Beth Ann & Jessica's Helpful Savings: Beyond the Rack: Seven7 Plus for Curvy Gals Starting at $19.99! Beyond the Rack: Seven7 Plus for Curvy Gals Starting at $19.99! The best of Seven7 Plus for curvy women is online at Beyond the Rack!